How to efficiently partition a single Windows-Ubuntu dual boot disk? I know Windows well but Ubuntu not so / I know Ubuntu well, but Windows not so. I'm an expert at both Ubuntu and Windows! Note: The above questions can also be used with multiple disks, but the examples in the answers are given for one disk. Both Windows and Ubuntu are POSIX compliant operating systems and they both allow you to define which user has access to which individual file, directory, partition or disk! 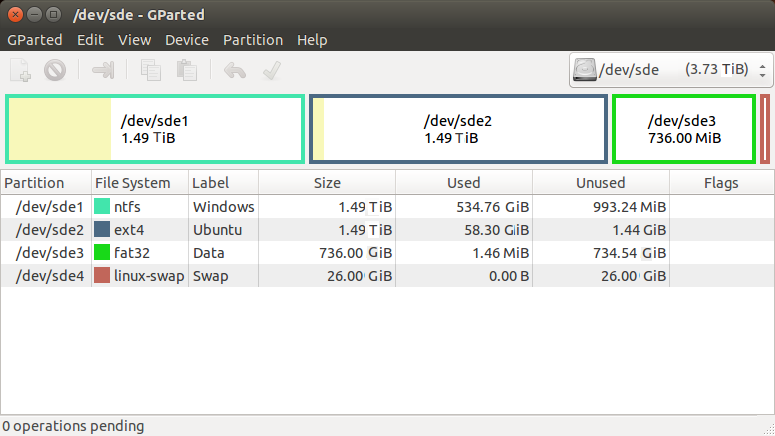 Note: Ubuntu also needs a swap partition of a size described here. Create all your users under Ubuntu giving them both the same name and the same password as under Windows. Boot the Ubuntu Live CD again and run gparted and shrink both Windows and Ubuntu partitions until they take 2*-3* the amount of the pale yellow bar. Then create the data partition and format it to "ntfs"
Go to Windows again and move the user directories to your D: drive in the users directory. When you boot into Windows (or Ubuntu), both Windows and Ubuntu have their own system files and applications installed in their own environment. On top of that, you don't have to worry about which file goes where: All Ubuntu files can be found under Windows in the d:\home directory and all your Windows files can be found under the /users directory in Ubuntu. then please do not set permissions from inside Windows in the D:\home nor from inside Ubuntu on the /Users directory ever! Also, do not move files between /users and /home (or D:\home and D:\Users) ever! nor that Microsoft server isn't really a POSIX compliant server any more, but an Interix subsystem. it is a bad idea to create swap space on an SSD (though it's getting better) for both Ubuntu and Windows. You know all that, right? File ownership and permissions can be interoperable between Windows and Ubuntu. That Windows Junction points can be seen as Ubuntu symbolic links. Creating and updating compressed files can be supported. Do the administration of complex rights always on the host system! For all the whistles and bells: man ntfs-3g and the advanced options article by one of the creators of ntfs-3g. 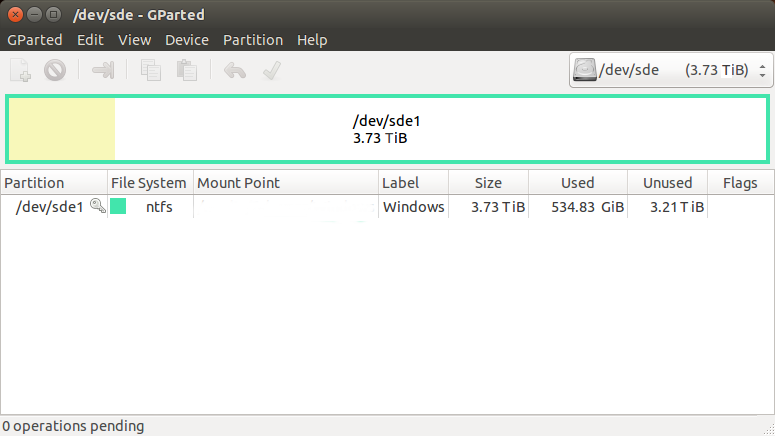 Ideally, also create a swap partition of a size described here. Why? When you boot into Windows (or Ubuntu), each OS has their own system files and applications installed in their own environment. Warning: The maximum file size on your /data volume (D: on Windows) is 4GB! Not the answer you're looking for? Browse other questions tagged dual-boot partitioning windows-8 windows-10 or ask your own question. How to use manual partitioning during installation? Do I need Intel Smart Response when installing Ubuntu? How to get dual boot (Ubuntu/Windows) option enabled?